In the fairy tale Hansel and Gretel, the characters found their way home by dropping white pebbles in the forest to guide them back. Today’s internet marketers are using a similar strategy to attract new customers and strengthen relationships with existing ones. This strategy is called Inbound Marketing. Inbound marketing is changing the way marketers reach new customers by shifting their approach from pushing information to customers—outbound marketing—to creating valuable content that attracts people to it. The benefit to this approach is that you attract the people that are interested in the way you think and the way you do business. This approach builds strong relationships and positions you as an expert in your field. Using inbound as part of your overall marketing strategy gives you a well-rounded approach to gaining new customers. When used in conjunction with traditional outbound marketing methods, inbound marketing gives you the following benefits. Good marketing is created to help solve problems. By giving potential customers what they are looking for, you build an awareness that reaches into other mediums. When customers see/hear your marketing messages on other channels, they are more likely to pay attention because they have already had a good experience with your content. Inbound marketing is created with precision, being designed to reach specific people who are looking for specific things. By creating such tailored content, it helps guide the design and placement of your traditional marketing pieces. Using the personas developed in your inbound marketing helps understand your customers and what their pain points are. This understanding makes your outbound marketing more effective by not putting things in the wrong places at the wrong times. By integrating your inbound and outbound marketing campaigns, you can move customers through the sales funnel faster and more efficiently. Due to the random nature of outbound marketing, customers are slow to move the sales process. Inbound marketing helps by continuing to give customers the information they need to solve their problem. This constant stream of information moves people along the sales process quickly by giving them what they need in a low pressure environment and position you as the authority in your marketplace. Creating valuable content for your inbound campaign, you change your sales process. By utilizing your content to answer as many questions as possible about your product/service you can change the way your salespeople interact with customers. This information educates consumers and empowers them to ask the right questions and know what they are looking for, making it easier for salespeople to guide them where they want to be. Salespeople who interact with informed customers close deals quicker and match products to customer’s needs better than those who deal with uninformed customers. With marketing budgets being squeezed and the rising costs of traditional marketing methods, this type of marketing makes sense. 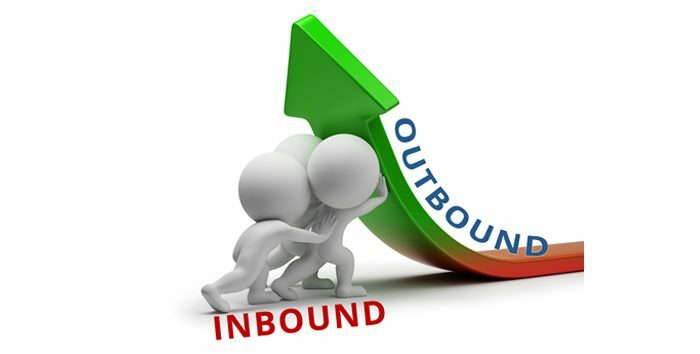 By supplementing traditional marketing methods with inbound methods you can effectively double or triple your marketing reach without an exponential increase in costs. Inbound marketing isn’t just a new gimmick designed to sell more widgets. It is a way of getting your message heard by the people looking for your message in a manner that makes sense. Rather than blasting out costly ads to thousands of people that aren’t listening, wouldn’t you rather send out a specific idea to people that are searching for it? Inbound marketing is a concept whose time has come and it is music to customer’s ears.